Got everything dug down 3 inches. I know, you guys, HOW am I supposed to dig a basement for my garage (or a tractor-cave) if I only go down 3 inches?!?! 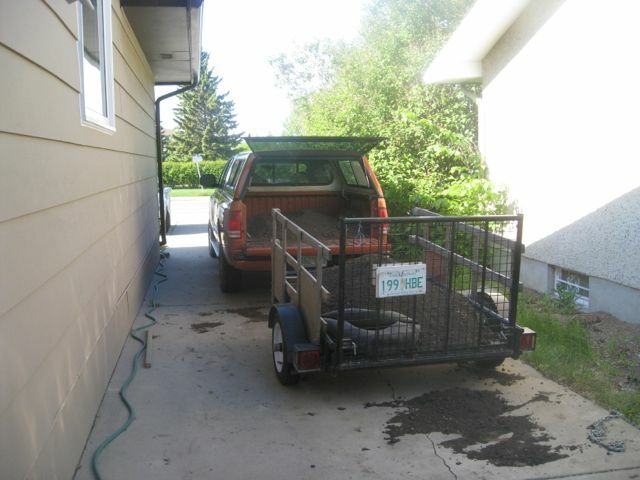 However, THAT was a LOT of dirt! 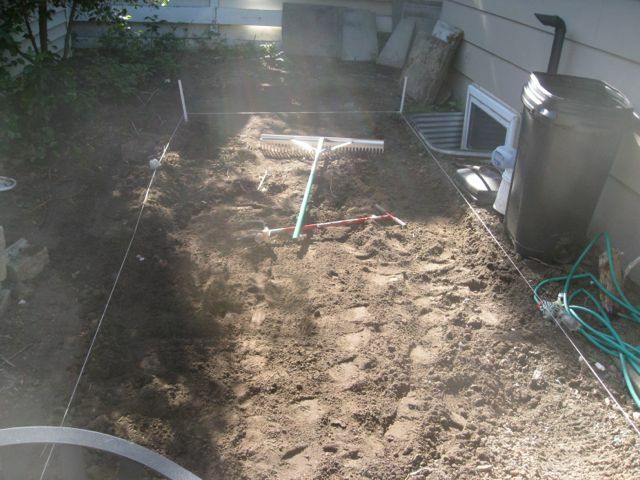 By hand with a shovel and a wheelbarrow! Which is restricting me to only 6 feet wide. I was OKAY with that, even if its a bit tight for parking 2 110s, since they’re six feet long (possibly I could still park both if I went for angle parking. But then, the “foreperson” on this job (AKA LittleTractorGal) came out to inspect. 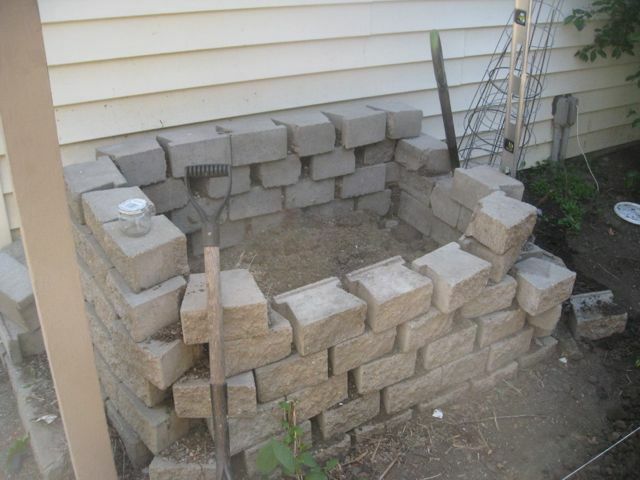 HER suggestion was to pull down the composter (she doesn’t like it anyway, due to its tendency to attract dozens of what LTBabe calls “tiny puppies”), replace it with one NOT built outta landscaping bricks, and go for 8 feet wide (2 24×36 pavers, 1 24×24). Makes the job bigger, but I’m okay with that if it gives me 8 feet to work in.. This entry was posted in Bror, Cranky, Ernie, Restoration Plan Omega, Wally and tagged Cranky, Ernie, John Deere 110, Restoration Plan Omega, transaxle, Wally. Bookmark the permalink.